This mixtape is dope…a bit of a late discovery here but this mixtape is RnB fire. Can’t lie I don’t really know much about Frank Ocean all I know is this is some of the best RnB I have heard from a free mixtape in a long time. I know very little about what/who The Weeknd are/is? All I know is they have dropped one of the best mixtapes of the year. I believe “They” are a Canadian RnB group/artist who have been all over the blog world today, after dropping the mixtape over the weekend. Their sound is a little experimental, their isn’t very much structure to what they do in that a song doesn’t follow the natural verse, chorus, verse, chorus structure….It’s very So Far Gone/Drake sounding. Canada does seem to be producing some really good RnB talent!! Below is a track from the mixtaped titled “House of Ballons”…. You can get the whole mixtape here…Enjoy! Came across this the other day via Facebook of all places! A Jay Electronica mixtape consisting of a selection of some of his tracks! Recently signed to Jay-z’s Rocnation, I first heard Exhibit C earlier this year and was instantly hooked. After hearing that I haven’t really heard alot of his other material so this is a nice introduction! Refreshing to hearing some decent Hip Hop! If you follow this blog you will know I’m a big fan of Daniel even before he appeared on X-Factor 2007 so when I saw a mixtape was in the pipeline I obviously got excited anyway it dropped earlier this evening! Consisting mainly of cover’s from his Youtube project which I have posted about before – with a couple of exclusives thrown in for good measure! Some solid covers on his check our All I Want is Here, Let the Sunshine, Fall For Your Type, Made For Me (big track) but everything is solid on this! Take a listen/download after the jump! Miguel the guy behind the smash hit “All I want is you” featuring J.Cole has dropped an 8 track mixtape…on first listen it sounds sick highlights so far are Dig, All Night Long and Ohh Ahh! 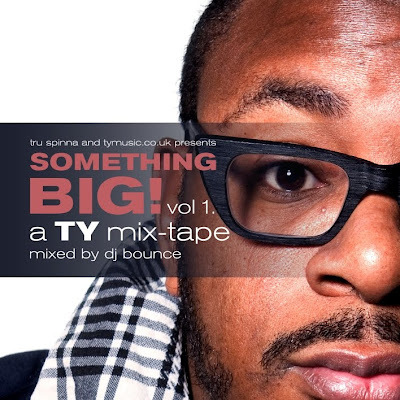 Mixed by DJ Bounce, TY drops a mixtape showcasing old and new material sound very special indeed you can get this on Bounce’s blog http://www.tru-spinna.blogspot.com/. p.s. Ty’s album Special Kind of Fool drops April 19th. Emotions is out now on Itunes go buy that!